WCPE Episode 207 – Where We Live Interview – WORST. COMIC. PODCAST. EVER! Every now and then, a comic project comes along that is more powerful than the latest superhero crossover; more epic that sci-fi stories set a long time ago in a galaxy far, far away; and more breathtaking that the latest adaption of a Hollywood blockbuster. These are comics based on real world events, intended to help bring together the community to help heal a painful wound. Such is the case with Where We Live, an anthology project from Image Comics. This book is a fundraiser for the victims and survivors of the Las Vegas shootings in 2017. 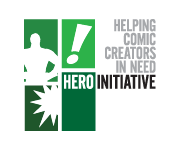 Dozens of top comic creators have donated their stories and art to this project. Back at the Image Expo earlier this year, Cullen sat down with two of the creators, J.H. Williams III and Haden Blackman, to discuss the project and why this is so important to the comic community. In addition, we have movie talk, with the recent releases of Deadpool 2 and Solo. We share our mostly spoiler-free thoughts on the movies, but we give you a proper warning before we discuss that one scene in Solo. Yeah, you know which one we are talking about! We give our Pick 3 selections for next week. However, there are a lot of great comics coming out next week. We had a hard time talking about just one book each, so we share some other suggestions for books you should look to pick up on your visit to your LCS next Wednesday. ‹ WCPE Episode 206 – Slurpees with SHAZAM!